Inspired by The Huntington’s exhibition Magna Carta; Law and Legend, 1215-2015, celebrating the Great Charter’s 800th birthday, this set of primary source materials and related prompts supports student development of content knowledge and fosters close reading, writing and public speaking skills. What does it mean to live under the rule of law? The Huntington Library owns the only surviving copy of this book, which contains the first set of established laws printed in the English colonies of North America. 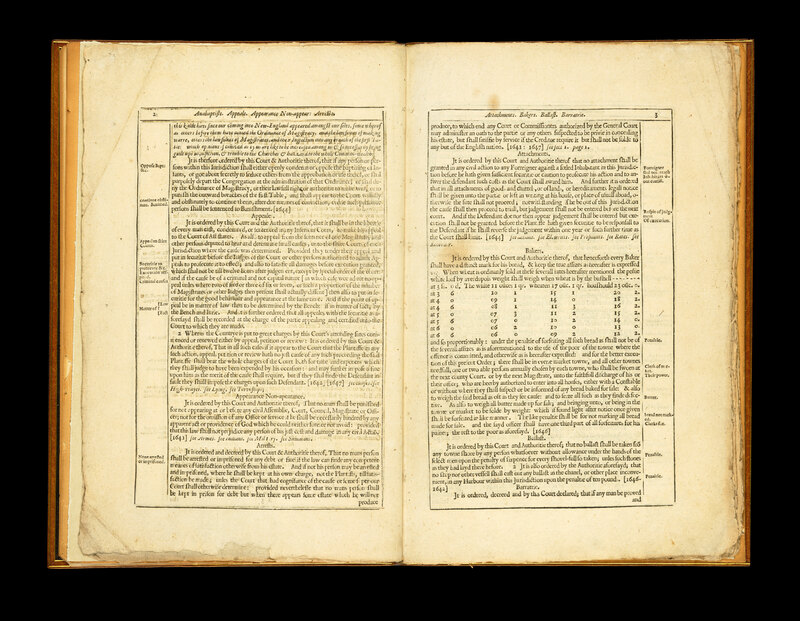 Although colonists later concentrated on declaring their independence from British rule, in 1648 they were concerned with maintaining the English rule of law as exemplified by the book’s passage, “For a Common-wealth without laws is like a Ship without rigging and steerage.” The text indicates how these earliest printed laws of the American Colonies were meant to preserve many of the same liberties that Magna Carta (1215) granted in England and apply them to the “New World”. This book specifies that no man’s life nor property may be taken away, nor may any person be imprisoned, unless by some express law of the land. The book of the general lauues and libertyes shows a hybrid of the old and new as it applies English legal justice to the American colonies while also establishing laws that are specific to the lives of the settlers. It grants colonists entitlement to an appeals process while also prohibiting ballast from being taken from public shores for people’ private use. It provides protection under the law while also standardizing the weight of a plain loaf of bread. A: What do these laws say? B: What groups in society are impacted by these laws? C: What do these laws tell us about people in this society? Are some laws more important than others? After the Revolutionary War, the newly formed United States codified its own liberties by drafting the Constitution. Americans imported into it many core concepts from British government, like the rule of law, due process, and habeas corpus. These represent important continuities between the American and English legal traditions. This document is “the official edition, printed in large type, single columns, by the Convention for submission to Congress”, making the text seen here the first printed edition of the Constitution of the United States. A: What does this document say? B: How do these laws compare with the Laws and Liberties of Massachusetts? C: Why did people need to write this document? How do laws change over time? While the US Constitution and the Bill of Rights have come to hold an iconic place in our national heritage and remain a cornerstone of American legal and judicial practices, this draft reminds us that treatises of liberty are always working documents. A: What do these documents say? B: Compare this draft to the ratified Bill of Rights. What is different? C: To whom do these laws apply? 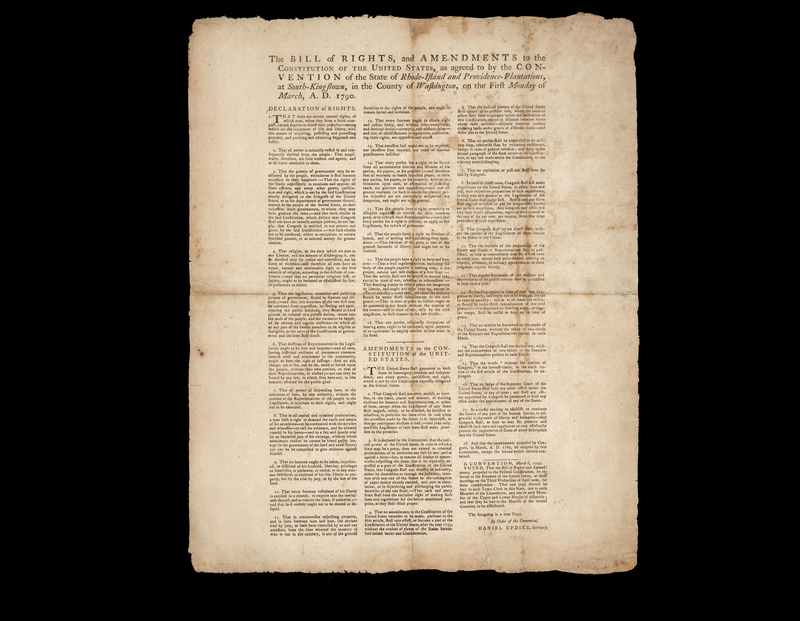 How are the Constitution and Bill of Rights relevant today? 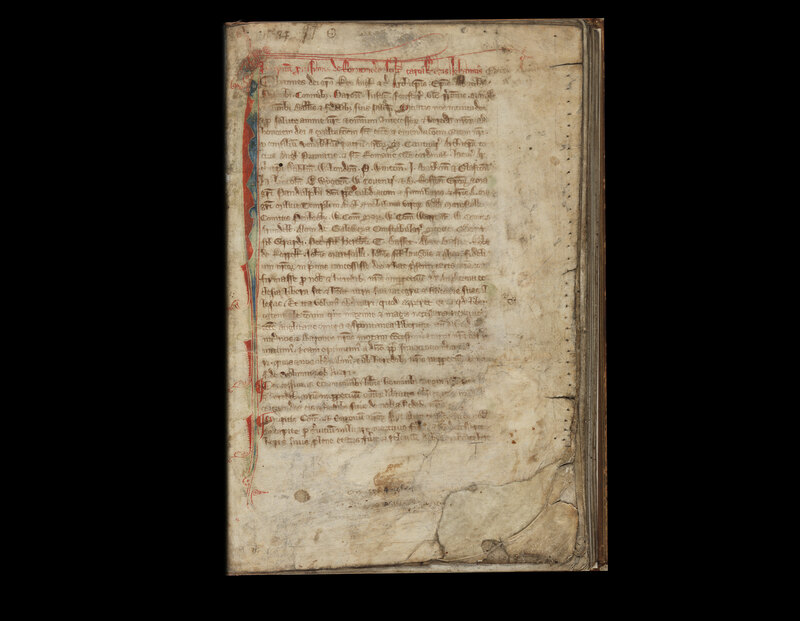 Debates about freedom of information and open access again draw upon the iconography of the medieval English document Magna Carta, which first established the concept of the Rule of Law in the English-speaking world. 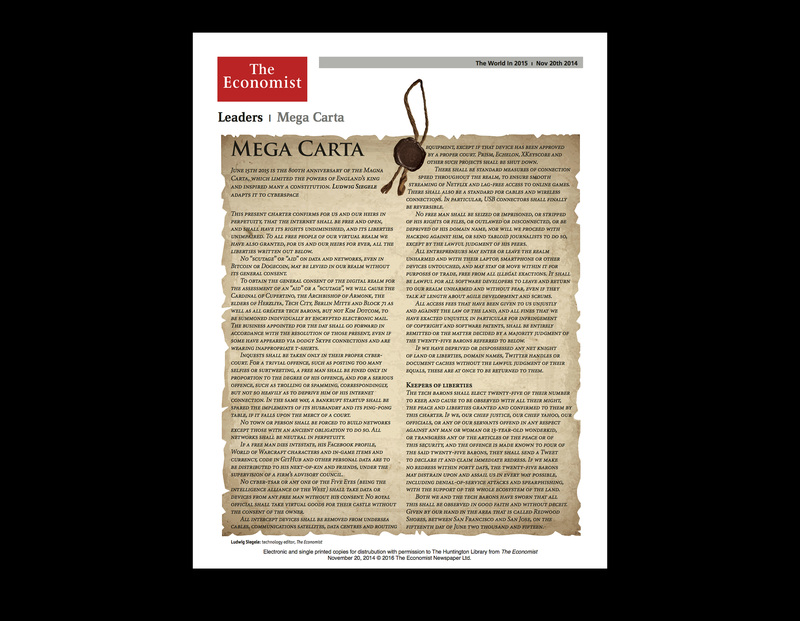 Just as Magna Carta outlined a vision of thirteenth-century English society, this “Mega Carta” details how the technological world should proceed. Some points are quite specific, like the call for a standard measure of connection speed. Others resonate with the broader concepts of rules and rights we have come to associate with Magna Carta, like the proposition that the internet shall be free and open. In this article, Magna Carta not only represents a foundational document of liberties but also symbolizes the power of written constitutions. A: What does this article say? B: What are some other things not currently governed by law? C: What challenges do modern people face in expanding laws? What problems could arise if some areas of society are not governed by laws? Based on your close reading of the primary source materials, provide an argument about what it means to live under the rule of law. Magna Carta means Great Charter in Latin, and was a grant by the English King John in 1215. It offers legal and financial reforms and establishes certain “liberties”. Some of the liberties were given only to particular categories of people, but others were more broadly promised to “all free men” and to some women. After a brief preamble, 63 chapters set out the details. While many are now obsolete, others form the solid foundation of an Anglo-American legal tradition that has endured for 800 years: the principles stating that not even a king was above the law and that all men were entitled to free and impartial justice under that law. What skills do you need to be able to decipher this material? What is the value of possessing those skills? Where can you find materials like this? How would someone work with these types of materials? What do you need to know to make sense of the society that created this document? What kind of professions would be open to someone who had these skills? © The Huntington Library, Art Collections, and Botanical Gardens. All rights reserved.